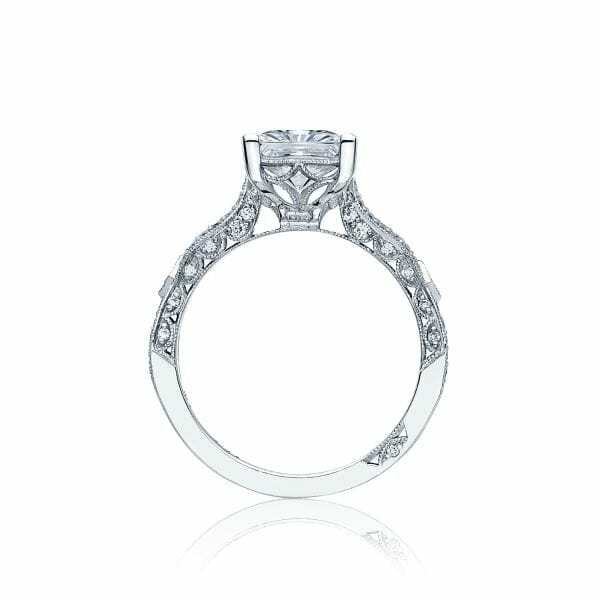 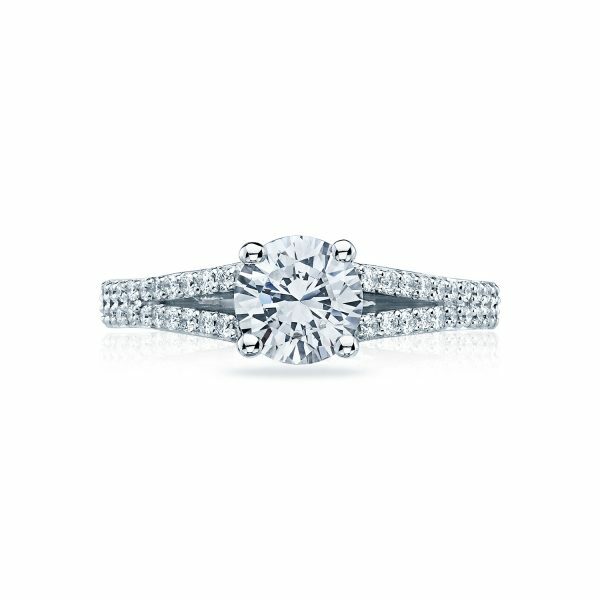 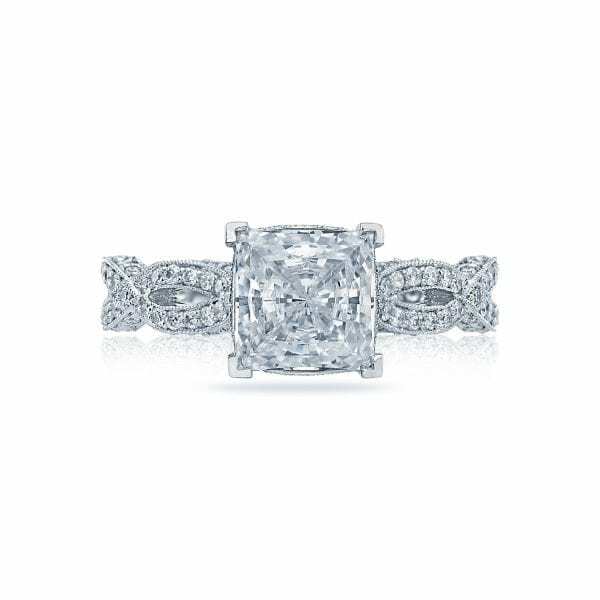 The princess cut center diamond seems to be overflowing with intricate details on every inch of this engagement ring. 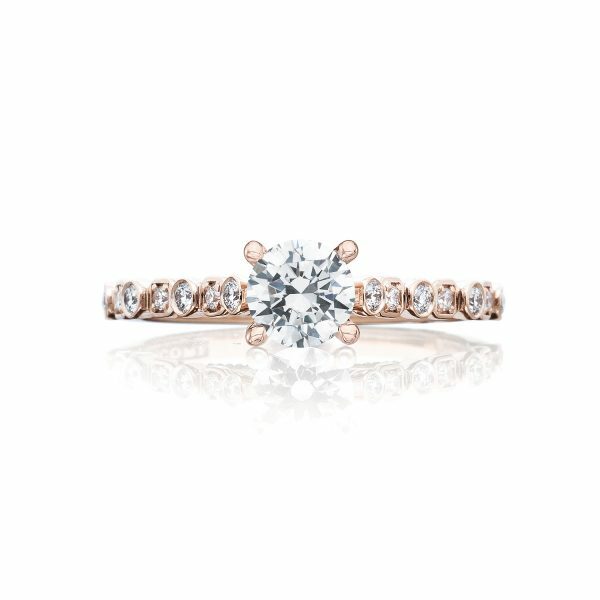 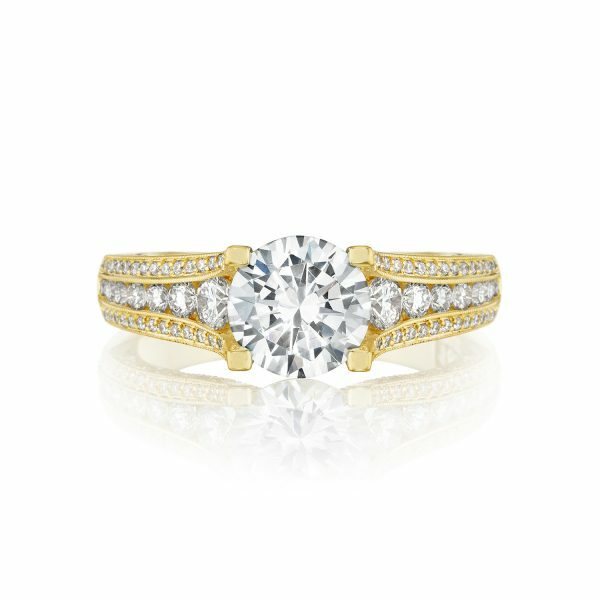 Decorating the intertwined bands with a flourish of diamonds, this ring is truly one of a kind. 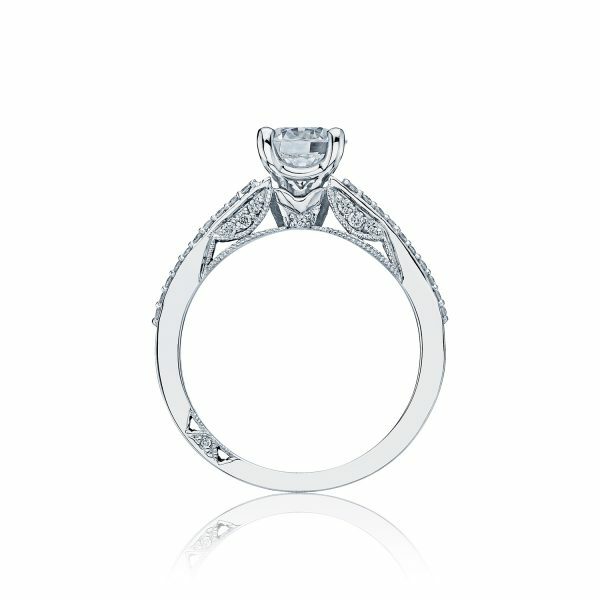 The inner face is covered in a lace-like pattern, giving this Tacori engagement ring an heirloom touch.